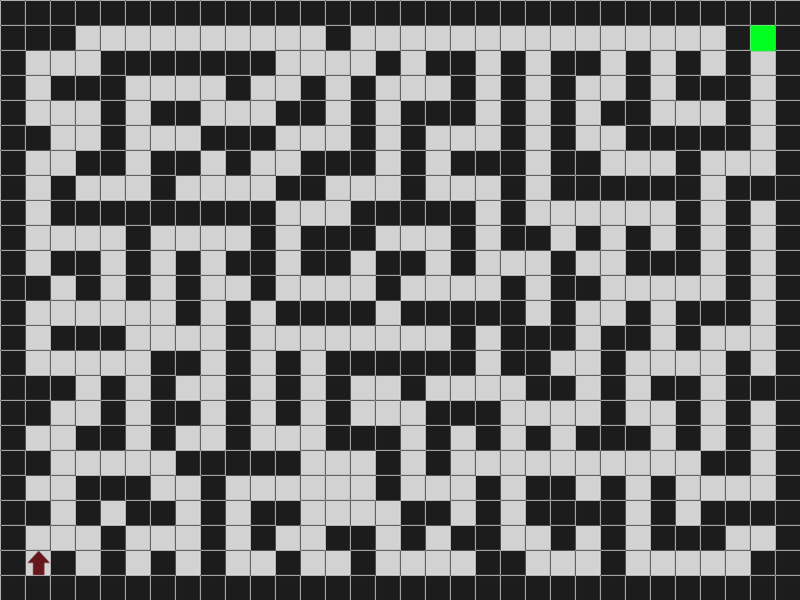 1BitMaze is game about a maze, where you can only see if there is a wall in front of you or not. A black screen means your staring at a wall and a white screen is showing you that you can walk this way. Use the space-bar to walk and WSAD to turn yourself around. This game was made for the 1BitJam. This game might cause problems for people with photosensitive epilepsy. Playing at your own Risk. A game made by DaragonGames.